The Association Associação de Gravura Água-Forte arises from the meeting of a small group of artists, whose main goal is summed up make and disseminate the printmaking. 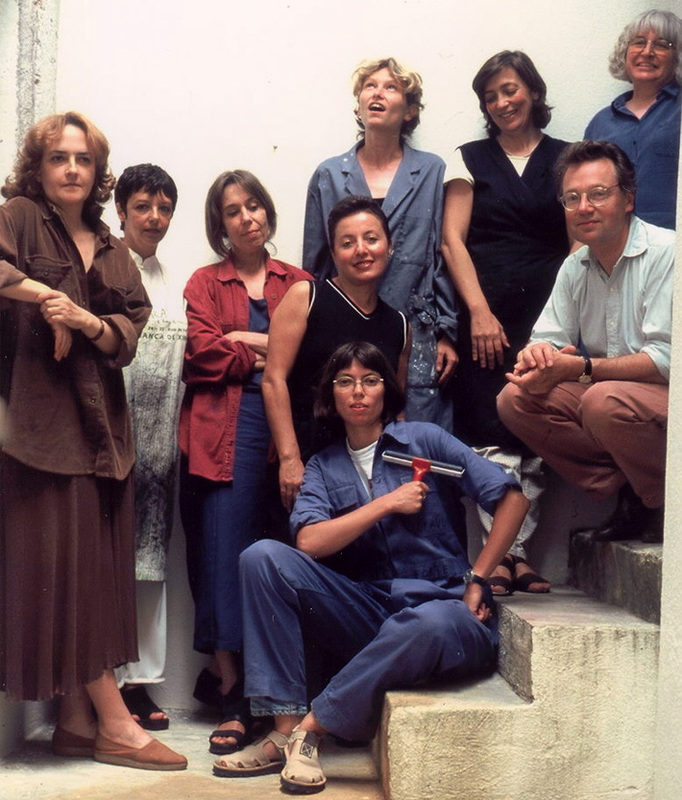 In 1999, nine artists Amélia Soares, Fátima Ferreira, Helena Cunha, Inez Wijnhorst, Isabel Pyrrait, Madalena Fonseca, Richard de Luchi, Teresa Pato and Teresa Morgado assemble and share a workshop in Lisbon, on the ground floor of an old House, located between the neighborhoods of São Bento and Estrela. The story of the Association would begin with a small advertisement posted on the wall of the Cooperative of Portuguese Printmakers, in whose workshop often some of the members were to work. It was an announcement of the sale of a second-hand press. Following the acquisition of such press, would be born this Association, in 2000. The space integrates today, in addition to the printmaking workshop, a small gallery where periodically there are exhibitions in the area of printmaking and graphic arts. Are main goals the creation and dissemination of pintmaking in its main aspects, the exchange with Portuguese and foreign artists, the study and the dissemination of traditional techniques and experimentation in printmaking, including research and use of less toxic materials in your implementation. 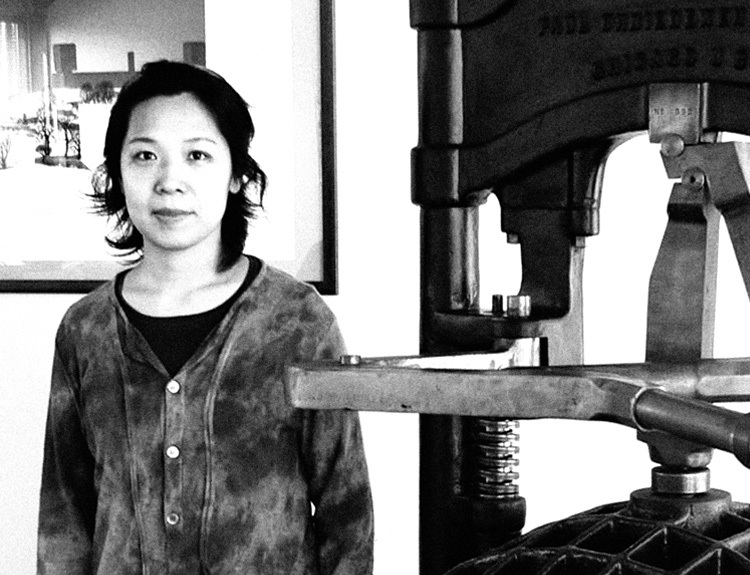 That same year, between 1999 and 2000 the Printmaker Mami Higuchi joined our Association, being the first associated after the founding of the Association and have contributed deeply to the development, especially with regard to exchanges between Portugal and Japan and to contacts with Japanese artists that would come later, conducting workshops in our space. Later, she founded together with Júlia Pintão the Matriz - Associação de Gravadores do Porto, Association of artists from the Oporto city, where he was residing, having developed until today a close collaboration between both associations. By this Association passed since the foundation, twenty-one artists members, some of whom only temporarily. Now has 11 members, four of whom, co-founders of the initial group, (Amélia Soares, Fátima Ferreira, Teresa Pato and Teresa Morgado) five members (Ana Galvão, Manuel Lopes, Manuela Cristóvão, Margarida Lourenço) and two temporarily members ( João Carvalho and Célia Bragança).